It’s Happy Hour somewhere in the world right now as I am typing this. 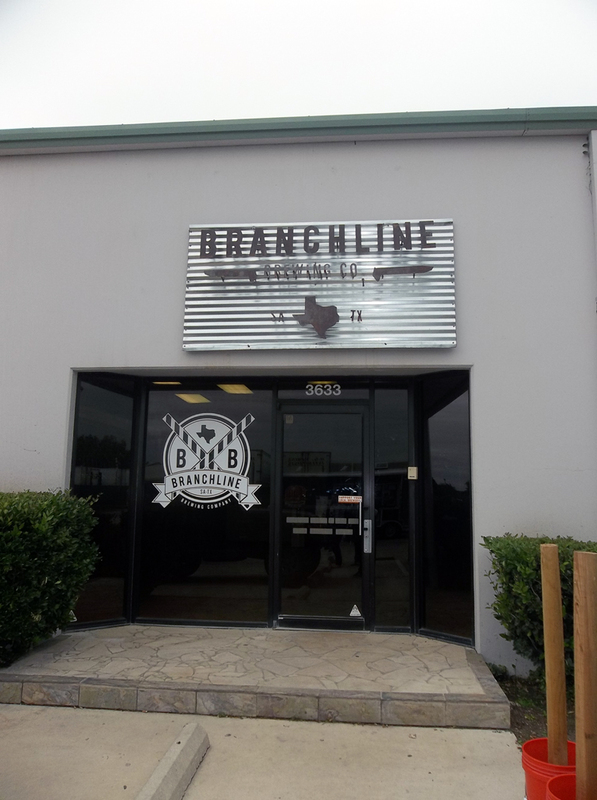 The fine folks over at Branchline Brewing Company decided to do a monthly happy hour event, which is basically a brewery tour/tasting event that are normally held on Saturdays, but this time it will be during the week. In the month of April, on the 5th to be exact, was their first ever Happy Hour Event. The event was scheduled from 5pm – 8pm, but I normally get out of my day job at 7pm. I just so happened to get the opportunity to leave work at 4pm this day, so I took the time off, and drove to Branchline Brewing Company. Of course in typical Aaron fashion, I arrive there way too damn early, and I am just hanging around while their staff gets everything ready for the event. I’m one of the first ones through the door, and am met with no lines, so I walk right in and get started on my beer adventure for the day. 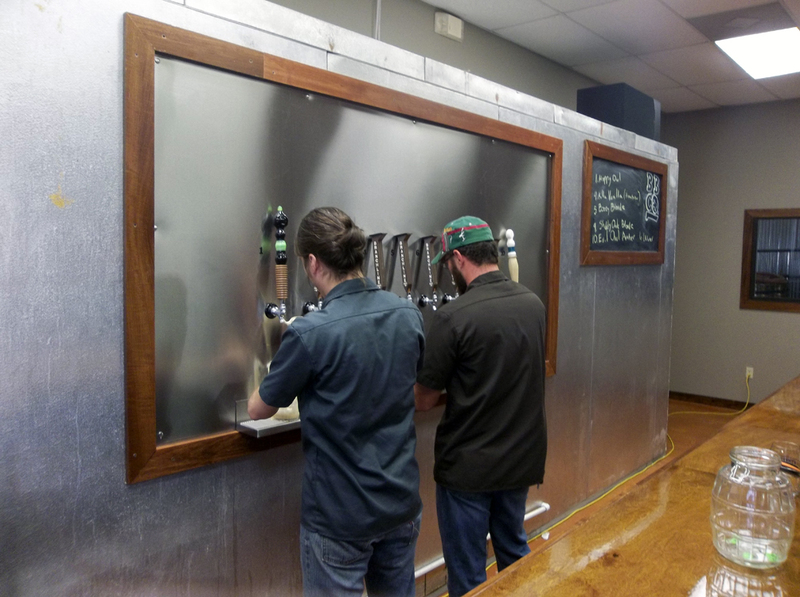 One of the coolest things that the guys over at Branchline are doing, are showcasing a home brewer’s beer on one free tap at their happy hour events. Major kudos to them for this. For their first event, they had a home brewed beer by Jeremy Banas, who named his home brewery, Banas Brothers Brewing Co. Jeremy is a representative for Open the Taps, a grassroots, non-profit organization of Texas craft beer consumers, and is a writer for his blog, Ruination Press, among other things in our beloved craft beer community. 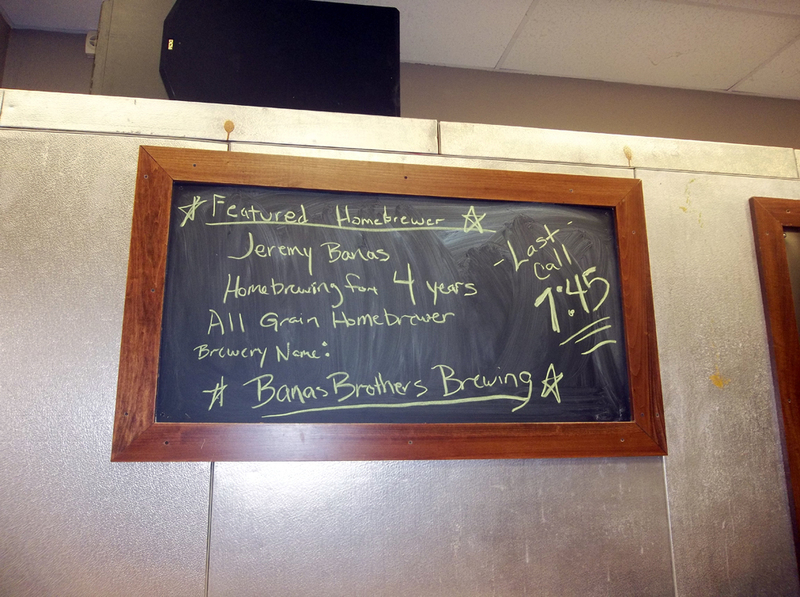 What Jeremy, and Banas brothers Brewing brought to this event was Killa Vanilla, which is a Belgian Imperial Porter, as he described it. I used my newly acquired Branchline Brewery logo can shaped glass. The beer poured a nice deep black color, with a dark brown head, which retained very well, leaving soapy lacing down the glass. Very nice looking beer. The aroma was a sweet smell overall. I picked up traces of brown sugar, chocolate, slight alcohol, and vanilla. These smells worked very well together, leaving a sweet chocolate vanilla candy like aroma lingering in your nose. The taste followed the aroma, all the same were present. Up front, you get the taste of sweet brown sugar, and chocolate, a hit of alcohol in the background, and a nice aftertaste of vanilla that lingered for a bit. The body wasn’t too heavy, and it had a very smooth mouth feel. Easy drinking with this one here. Jeremy, my friend, you have yourself a winning beer in my book right here! 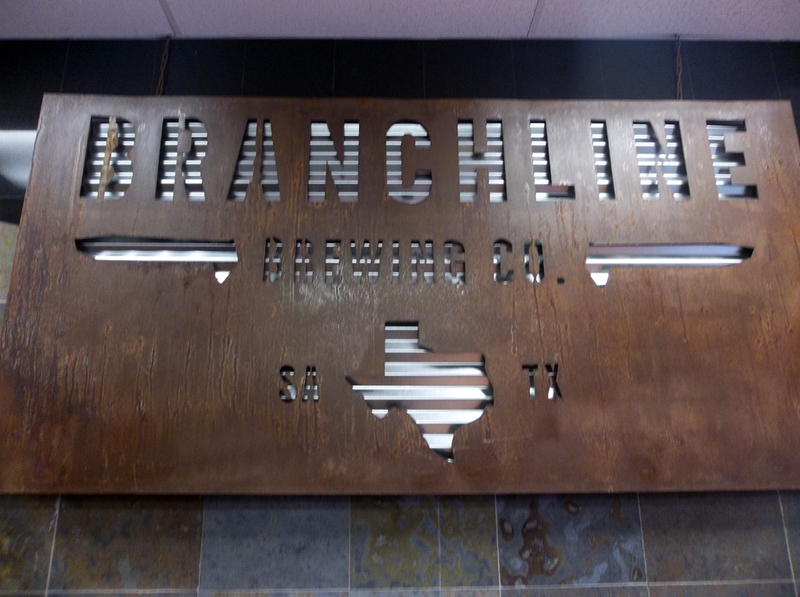 Thanks for sharing it with all of us, and thanks to Branchline Brewing for showcasing home brewed beers on tap at their events. 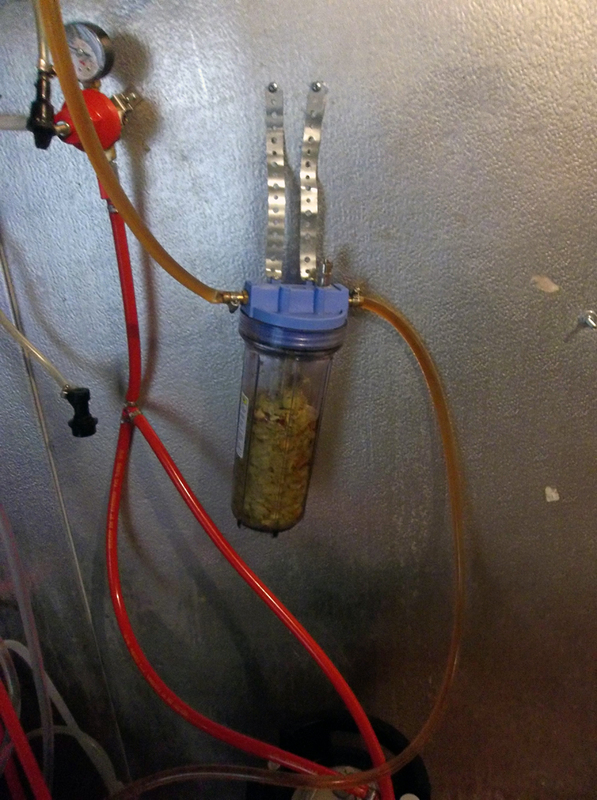 After starting off with a non brewery beer, it was time for me to get something brewed in house. I went with a special beer that was available at this event. I’m not sure about how often these guys will do this beer, but I was glad to have tried it. 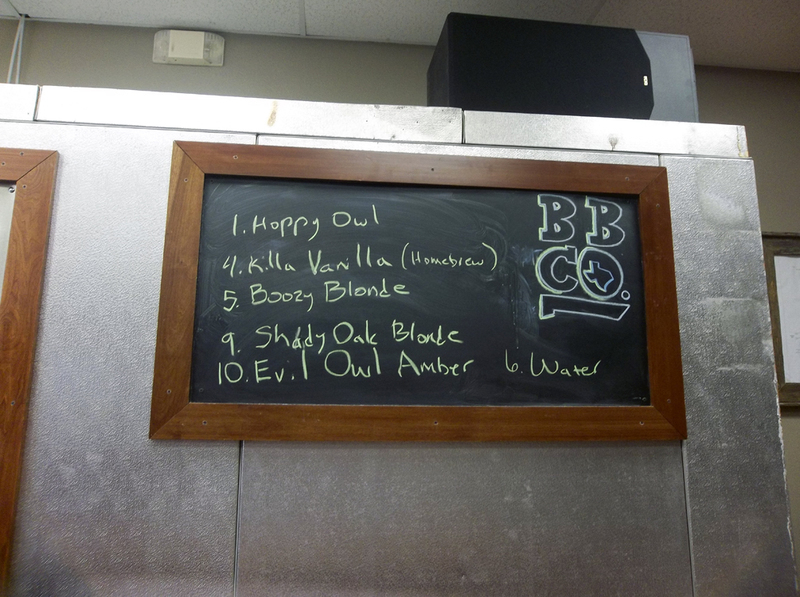 It was called Hoppy Owl, which was their year round Evil Owl Amber which was then infused with Sorachi Ace hops using a flavor infuser device. So what you get with this beer is an overpowering abundance of hops aroma and flavor added straight to your beer glass, as the beer passes through a vessel holding the special ingredient, in this case Sorachi Ace hops. If you are a hop head like me, then this was heaven in a beer pint! The Evil Owl Amber gives off the malty aromas and flavors of caramel, toffee, and a bit earthy, then it was super sized by infusing the Sorachi Ace hops, giving this beer a very unique, yet pleasant battle with your senses! After killing my palate with hops, I thought I’d wreck more of myself by getting another special small batch beer available for this tasting event, Boozy Blonde. This one was their Shady Oak Blonde, aged in Ranger Creek Bourbon barrels for 7 days. 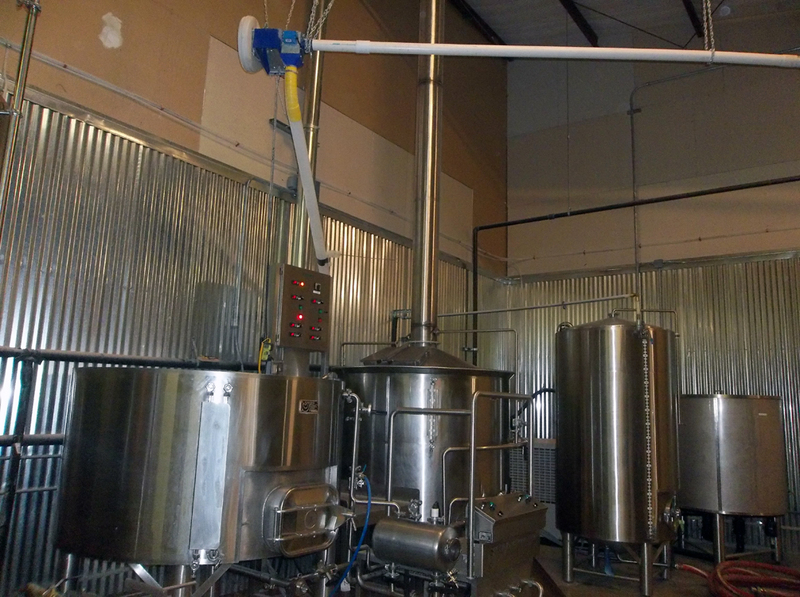 Ranger Creek are, you know that other little brewery from San Antonio that also distills bourbon. Yeah, those guys! Shady Oak blonde is already a good beer, and the added touch of having them sit in bourbon barrels only heightened the aroma and flavors of this beer. As some of you might have read in my past reviews, I really love beers aged in bourbon barrels! I wish every beer was aged this way. haha, seriously, I do! The bourbon barrel aging of a beer adds some sweetness, and of course, the background presence of said alcohol. 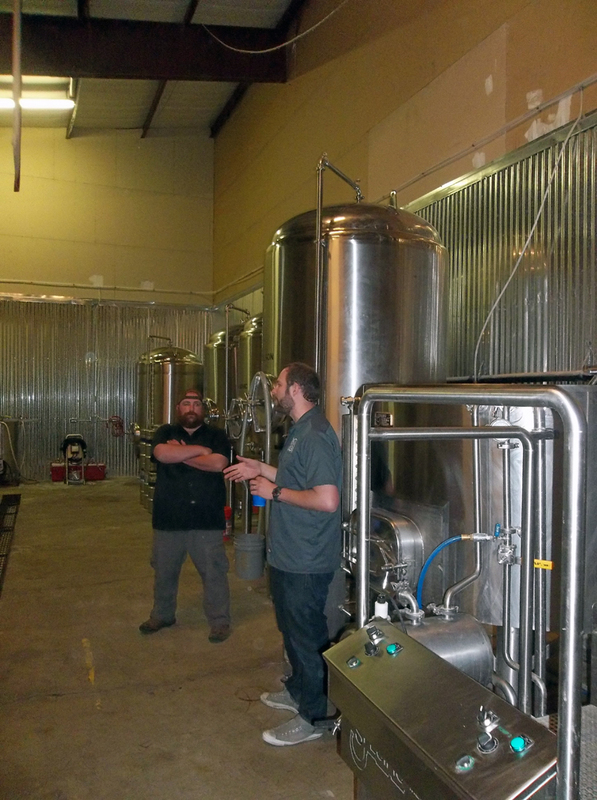 These past two beers I mentioned here are some of the reasons why it is always good to visit your local brewery when they have a tasting/tour event. You never know what they will unleash to you at the event. I know Branchline has done some pretty creative beers at their events in the past, including such things as coconut, pineapple, chili peppers, oyster stout, and other mixtures. Plus it’s just good to support your local businesses. 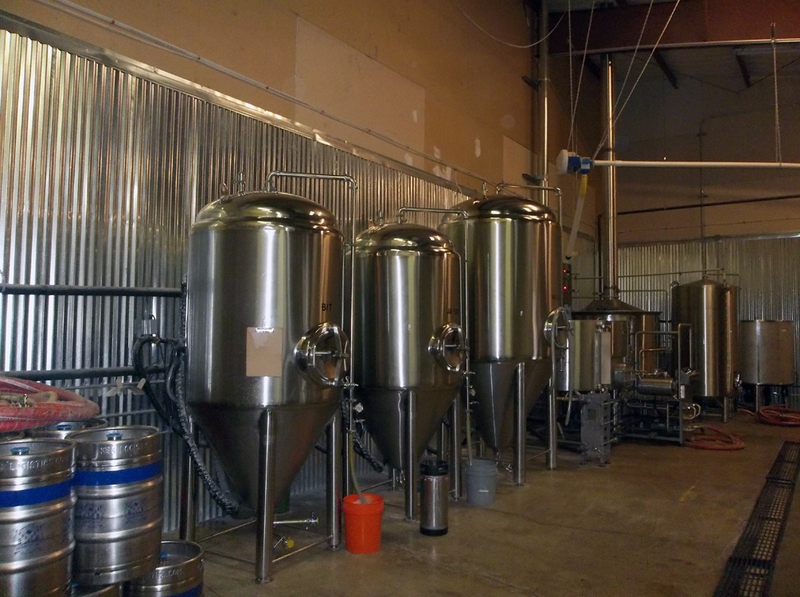 With growth to these local businesses like our breweries, that means more jobs available to the public. I mean, why wouldn’t you want to support, then work for a brewery? To finish off my beer tickets (yes, Jason Ard, I had gotten 1 extra!) I got a pint of their regularly brewed Shady Oak Blonde. This beer is very refreshing, and was a good way to end the event for me. It poured a hazy bright gold color with a finger wide white head, which retained and left a nice spotty lacing down the glass. The smell had character of citrus, some biscuit malt, and touch of a pine aroma, Very well balanced on the nose. Some blondes to me just smell only of malts. There is definitely a hint of the hop aroma in this beer. The taste of Shady Oak also fallows the aroma showcasing the malty biscuit flavor along with a bitterness from the hops that give this beer a slight citrus, and pine taste. The mouth feel is smooth, almost silky which makes gives this beer a distinct character. One thing about Shady Oak that is not suggested in the name is the use of Texas Wildflower Honey, which I’m sure helps this beer stand out from other blondes that I have had. This is definitely a beer I recommend checking out for yourself or to give to a friend who is hesitant about craft beer. This is a good beer to get them started away from the unholy trinity. 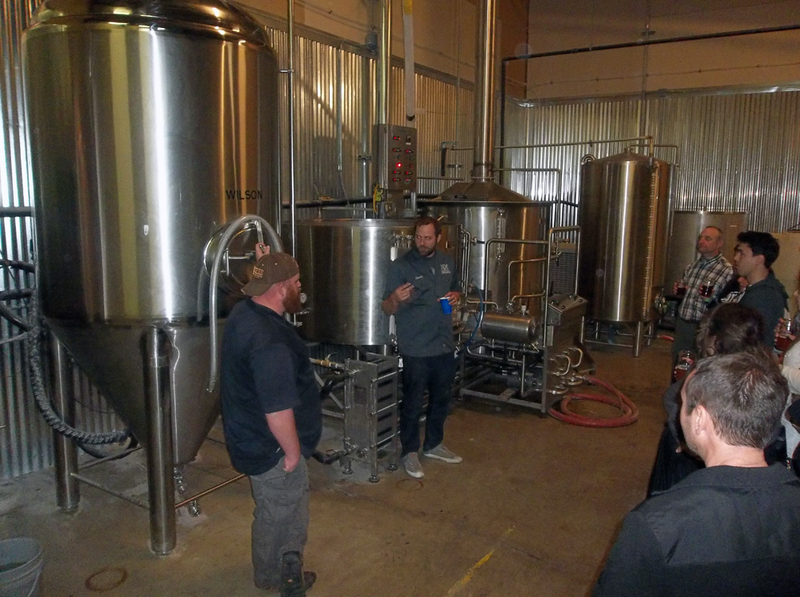 Now, besides consuming beer at these events, brewery tours/tasting events are great places to mingle and meet like minded people. I know I always find myself in conversation with random people, which is a great way for me to let them know about beermetaldude.com. Another part I love so much about brewery tours is that they support the awesome business of food trucks, and they all usually have a food truck on site selling good food to go along with your beer drinking. 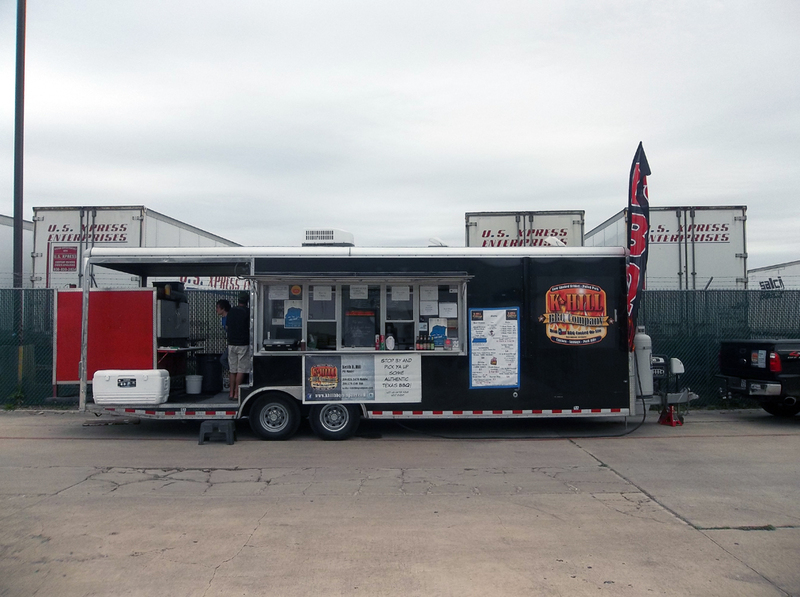 Here at this event K-Hill BBQ Company food truck was there to handle the hungry hordes! I personally did not get any food, but I saw and smelled the food around me, and damn, it looked and smelled amazing! I regret not getting anything. The last highlight for me this evening was when Branchline brewer, Les gave me a sample of his new cream ale. Not too sure what these guys are going to do with this beer, but it was an extraordinary beer. It was so creamy, that it was like if he used whipped cream in the recipe. Thanks Les for letting me try this! Overall, this looked like a success for Branchline, and I do believe they already have planned the next few months ahead for this once a month week day happy hour event. I recommend checking the brewery’s Facebook page for more info on their events. Expect great special one off beers, and of course the special guest tap of home brewer’s beers. 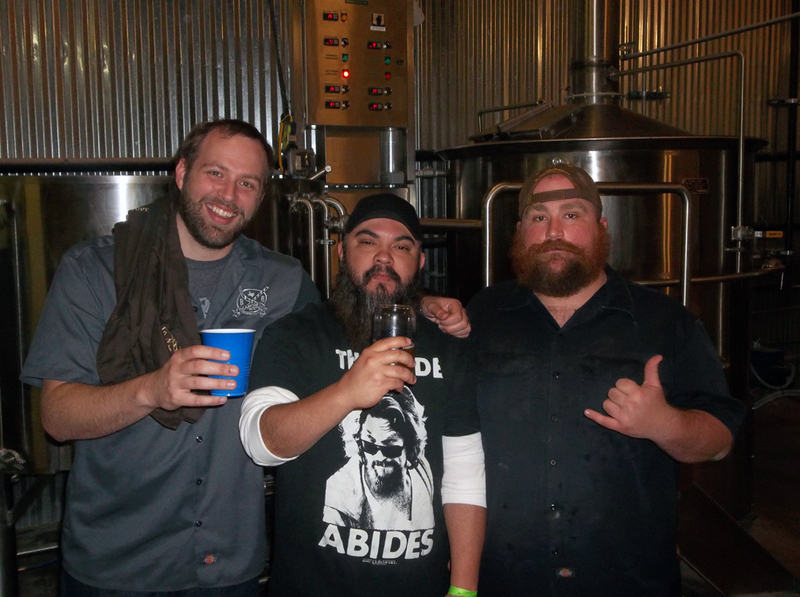 These guys have been such a great addition to the craft beer family of San Antonio, and I am proud to call these guys friends! Cheers fellas! See ya next event! I was jamming to Overkill on my way to the brewery that day, and I do remember blasting this song as I was leaving the brewery as well. The song “Old School” is such a good beer drinking song! Enjoy!